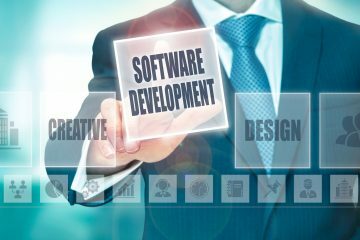 For many start-ups, outsourcing software development to specialists makes more sense than training employees. Here’s a guide to get you started. Hiring the right software developer is just as challenging as developing the software itself. Typically, it’s a multi-faceted process that involves networking, teamwork, intuition, and technical acumen. When you work with the right developer, they adhere to standards to ensure quality and fulfillment of objectives. As such, there are several factors you need to consider when outsourcing software development. This include experience, quality assurance, and testing process. You shouldn’t just focus on the technical ability of the developer, but also their ability to think creatively, solve problems, and embrace teamwork. In this post, we’re going to help you understand how to pick the right development specialist.Let’s get right into it. This is the obvious factor you should consider. 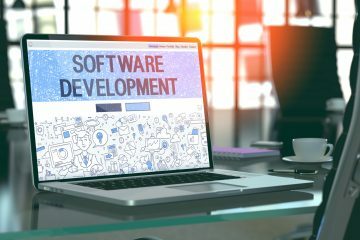 Essentially, it’s basic, but you don’t want to hire just anyone with the designation of a “software developer.” The technical ability of the developer goes beyond their proficiency in a particular language or technology. You want to look at their capacity to identify challenging problems and formulating practical solutions for them. The accelerated rate of the development of technology emphasizes the technical understanding and creative thinking of the developer. This is what you need to evaluate during the outsourcing process. You can gauge this by setting up a challenge. Create a problem and let a few candidates provide a code that’s an effective solution to it. If you’re somewhat green in software development, you want to ensure the hiring teams features two or more developers. Recognizing that you’re not an expert helps to save time and ensures sound decisions. While this isn’t a requirement, it’s just necessary to have someone who understands how things get done. This can be a good friend who is a developer, consultant or someone you’ve hired for the recruitment process. Outsourcing software development is a challenging process that can be full of uncertainty. By working with another developer, you can understand what questions you need to ask and the essential phases of your new project. Some projects are usually extensive, and the last thing you want is delegating a project without any form of testing. Don’t just hire the first programmer you meet because they’re promising or offered a lower quote. Instead, let them work on a test project first. 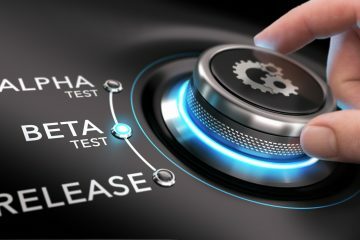 You can then get your in-house team or another party to review the completed test project. During the review, consider doing unit testing to ensure each distinct functions work well independently. Here, the goal is to find mistakes and bugs that might be present. Let the candidates explain their process and how their teams collaborated to complete the test. Plus, they should tell you some of the challenges they encountered and what can be done to minimize or prevent them. Working with the wrong company is a waste of time and resources. However, you can prevent this by investing adequate time in the selection process. Look at the client size of the company and their industry experience. Also, don’t shy away from asking questions. The more you familiarize yourself with the technical processes, the better. This will guide your decisions and help you know exactly what you want. Remember, the right software development company shares your objectives and goals. If you’ve got any question, feel free to reach out to us.